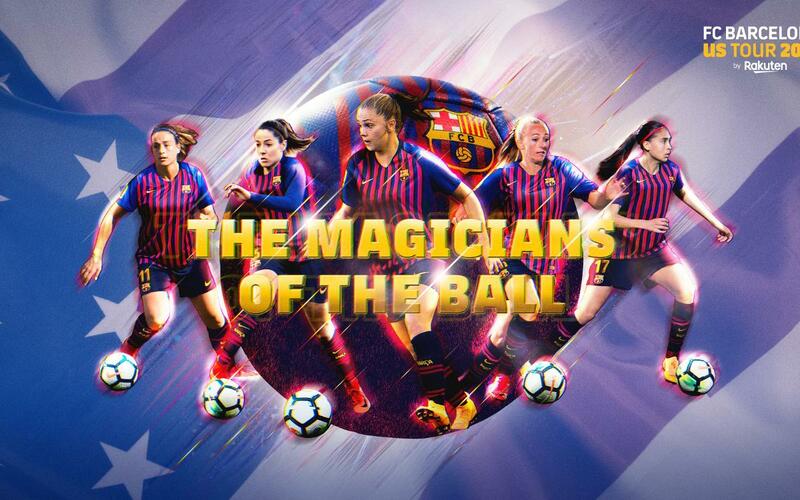 The Barça women’s team will also be taking part in this summer’s tour of the United States! From Tuesday 24 to Sunday 29 of July, the squad will be in Beaverton (Oregon) and Los Angeles, together with the men, who will be staying on until August 4. It’s the first time that the men and women have toured abroad together. They’ll start at the home of the Nike head offices in Beaverton, where both squads will not only be training on the first class facilities, but will also be appearing together in various related activities. Coach Fran Sánchez and his side will then be heading down to Los Angeles to continue training, and attending different events together with the men’s team. They will also be appearing in a friendly game on Saturday 27 at 10.00 in the 11,700 capacity Drake Stadium at UCLA, against SoCal FC of the Women’s Premier Soccer League. This will be the first game featuring new signings Stefanie Van der Gragt, Kheira Hamraoui, Pamela Tajonar and Andrea Pereira.